MasterPieces: The Roger Delgado Master | Warped Factor - Words in the Key of Geek. Tony only needs two things. Your submission and your obedience to his will! 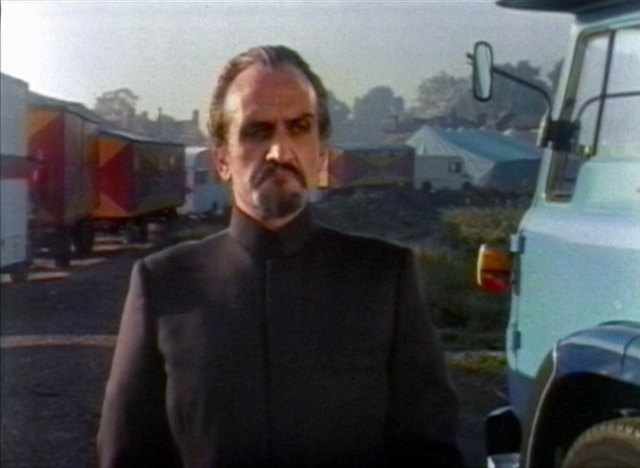 When Roger Delgado steps out of the horsebox, less than a minute into Season Eight opener, The Terror of the Autons, he is already practically perfect. His first scene takes barely a minute, but everything is there – a combination of Robert Holmes and Terrance Dicks at their most inventive sets up the family fun of a circus in the 70s for about 40 seconds and then – there’s a wheezing, groaning sound that we all know. It’s the Tardis! Has the Doctor got it working? Are we all about to go off on intergalactic adventures again? But no. It’s not our Tardis. It’s a trailer of some sort, materialising out of thin air. It must be another Time Lord! Fans begin to hyperventilate at that point, knowing from The War Games that the Time Lords can defeat and curtail even our incorrigible meddler. A tall, dark, saturnine man in immaculate black clothing jumps out, looks about, as if for lower life-forms to kick, and stands surveying his new planet. He is challenged by the circus owner, and describes himself as ‘the Master’ – so very opposite to our fearless Doctor, such grandeur, such presumption to rule. He reveals he has knowledge that ‘Rossini’ the circus owner has been hiding his real name, and when challenged again…there they are. The Delgado eyes. Delgado’s Master had eyes of ice and emptiness, and the camera showed the utter lack of fellow feeling in the hearts of this new Time Lord. Within moments, Rossini’s resistance is quelled, and with a snap of his black-gloved fingers, the Master has arrived and tamed his first human slave. The influence of the original Master is keenly felt in the difference between the two Pertwee Auton stories. In Spearhead, the Autons are creepily utilitarian, masked as everyday objects – shop window dummies - and then scare the bejesus out of a generation of children (and undoubtedly some adults) by jerking to life and gunning people down. Delgado’s Master brings flair, deception and undeniable gall to the whole fantastic plastic concept, dressing them up in blazers and boaters with enormous comedy heads, and sending them on a PR tour, handing out deadly plastic daffodils (a comment on this very contained Master’s view of flower-children, maybe? Or a satire on the public love of anything for free, no matter how pointless or tatty? Either way, you get your metaphorical moneysworth). He also brings authoritarian malice, played out with more than a touch of grand guignol – devil dolls and suffocating chairs as a repayment for disobedience. And of course, there’s all the hypnotism and the mastery of disguise. By the end of the story, the audience is left in no doubt about two things – the Master is here to stay, and on any planet where he is, nothing can be guaranteed to be what it seems. If you want a word to key you in to the Delgado Master, it would have to be ‘effortless.’ Whether he’s hiding in plain sight as world famous scientist Emil Keller, acting as the devil of suspicion on the Sea Devils’ shoulder to counteract the message of hope brought by the Doctor, pretending to be an Earth adjudicator in Colony In Space and giving expression to the fundamental philosophical opposition in which the Doctor and the Master exist, or perhaps at his most sublime and satirical in The Daemons, posing as a vicar and summoning up ‘the Devil,’ while actually acting as the voice of evil and temptation himself, threatening villagers with the revelation of their secrets, Delgado’s Master is absolutely the Anti-Pertwee, always absolutely natural. He never laughs a laugh that sounds remotely fake. Never makes a declaration of hatred that doesn’t sound like it comes from a place of absolute opposition, and is never so entirely without balance that he forgets his manners or his power. Delgado, by all accounts one of the most agreeable human beings you could wish to meet, gave the original Anti-Doctor all the dramatic oomph he needed to be real and believable. 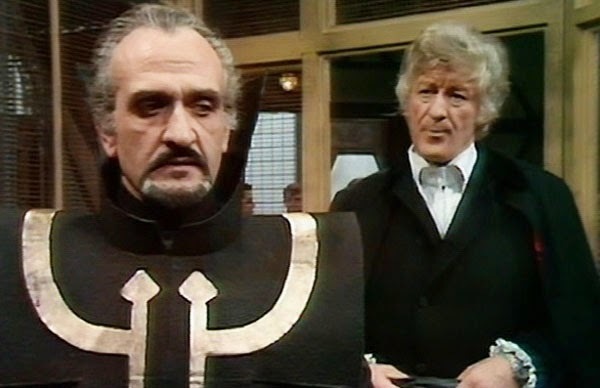 Yes, technically, the Master may have originally been a scriptwriting convenience to bring the alien monsters to Earth now that the dilettante Doctor was stuck on one planet in one time, but Delgado’s performance made sure that the Master was always, right from scene 1 of Terror of the Autons, far more than that. If you bought in to the existence of the Doctor at all, Delgado made sure you could buy equally into the character of the Master as the Moriarty to the Doctor’s Holmes. 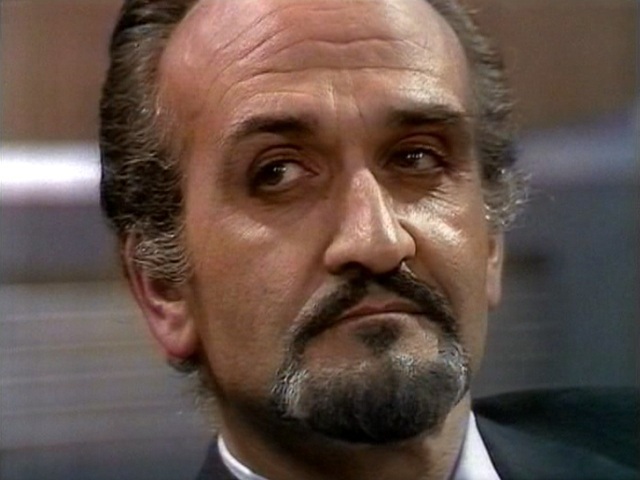 Roger Delgado made the Master a hit on playgrounds all across Britain, because he was infinitely adaptable. The Master could be behind anything: scientific experiments, political shenanigans, alien invasions, corporate strategies, ultimate weapon-thefts or raising the Devil – he was a villain for all seasons, and as such he unlocked the imaginations of children and writers everywhere, challenging them to find new ways to use and express the ultimate evil. Delgado’s sudden death robbed the world of a good man and a TV icon. He was already making plans to be written out of the show, and the way in which that story was destined to go is the stuff of legends. 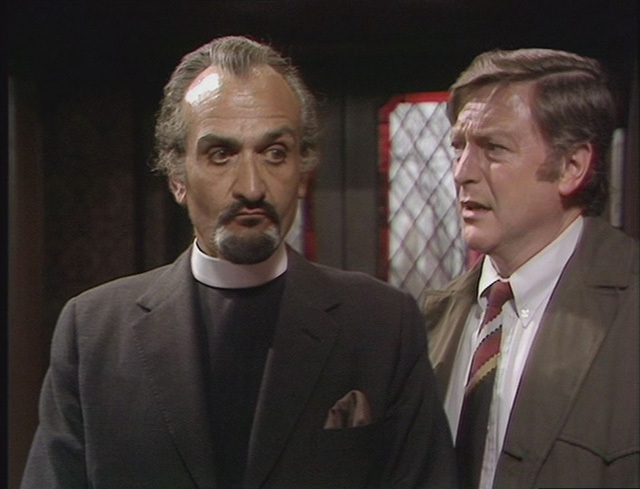 But in creating a rounded character with unparalleled nuance, Roger Delgado ensured that the Master would live forever – or at least as long as there was a Doctor to battle. He himself was irreplaceable and essentially inimitable. When the Master returned to the universe some three years after Delgado’s death, he would be a very different creature. The gentleman-tyrant, the contained egomaniac, the villain for all seasons would never be quite the same again.